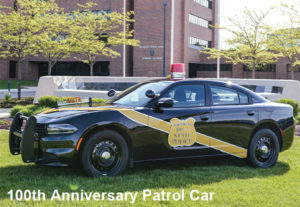 The Michigan State Police black and gold car designed for their 100th anniversary will be on hand at the museum’s summer car show. The Cedar Springs Museum will hold its annual summer car show fundraiser on Saturday, July 29, from 8 a.m. to 2 p.m., in the parking lot between Morley Park and Skinner Field. The car show helps the museum provide free family programs throughout the year. Special guests this year include the Michigan State Police and their special black and gold cruiser, designed to celebrate their 100th anniversary of service. The car resembles the department’s iconic 1937 Ford Model 74 patrol car. The Kent County Sheriff Department’s mobile command center will also be at the car show. The command center bus will be open and an operator available to answer questions. Here it is shown at a library part in 2015. 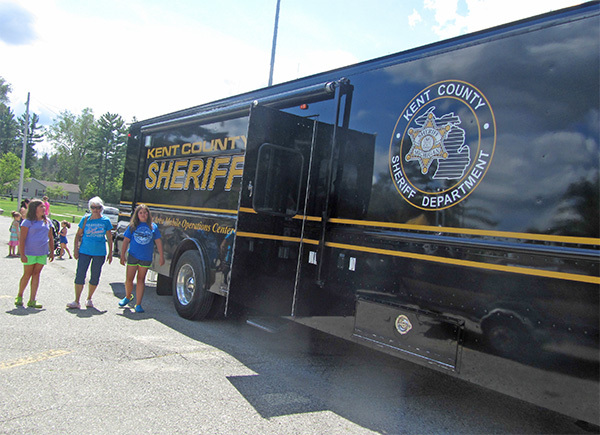 The Kent County Sheriff Department will also be on hand with their mobile command bus. The bus will be open for display and the operator will be available to answer your questions. The FFA will sell donuts and serve as helpers; free coffee and a free hot dog lunch will also be served to those visiting the car show, thanks to two local businesses. Trophies and prizes will be awarded at the car show, and dash plaques given to the first 100 cars. Pre Entry is $8.00 per car or $10.00 the day of the show. Include your name, address, city, state, zip and phone number. 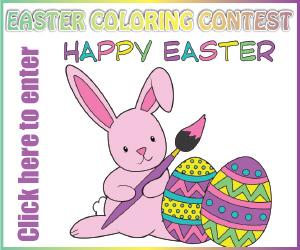 A parent signature is required if the entrant is under 18. For more information or if you would like to volunteer, call The Cedar Springs Museum at 616 696-3335 or email: cedarspringsmuseum@gmail.com. cspoststaff - who has written 15268 posts on Cedar Springs Post Newspaper.